Diamond Rose iPhone which is the world’s most expensive phone have 500 individual flawless and most precious diamonds were used in manufacturing this mobile. The Apple logo on iPhone was studded with 53 special diamonds. The front navigation button is designed using platinum with interchangeable single cut 7.4ct pink diamonds. As they are most precious diamond in the world. Its price is about $8 million which means the highest in the world. 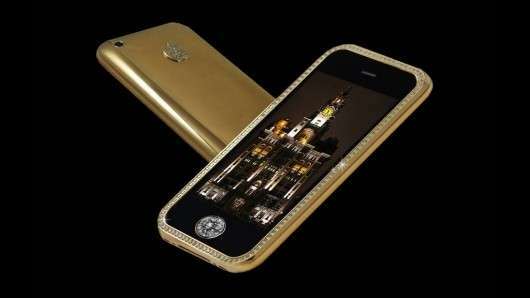 Supreme Goldstriker iPhone from Apple holds the 2nd position in the list of most expensive mobile phones in the world. Its structure is said to be the unique one among the other mobiles in the world. This mobile features a casing made from 271 grams of solid 22k gold. 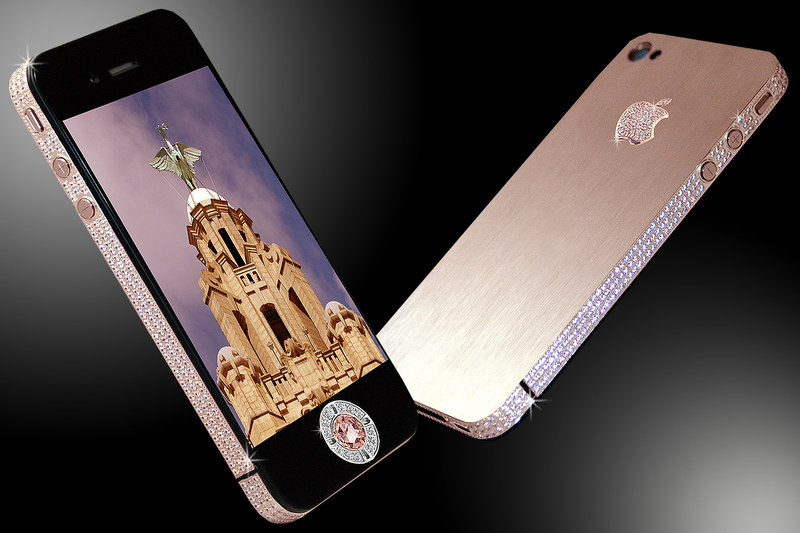 The logo on to this iPhone has been designed with 53 diamonds. This significance of this mobile has not ended with that. Some part of this mobile structure is made of nubuck top-grain leather, granite and sports Kashmir gold. Listening to the price of this mobile. One will get surprised that is this mobile really exist. It is priced at $3 Million. iPhone 3G King’s button holds the 3rd position in the list of most expensive mobile phones in the world. The renowned designer of the most expensive mobiles from Austria Peter Aloisson has designed this mobile phone. 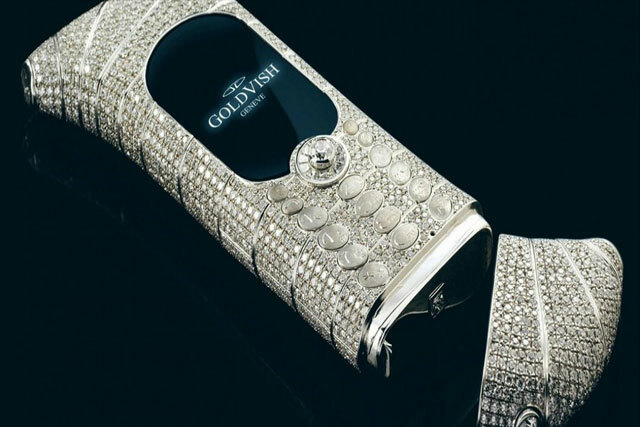 This iPhone is studded with 318 diamonds. The home screen button is made from 6.6-carat white diamond. The price of this mobile is $2.4 million. GoldVish Le Million is designed by renowned designer Emmanuel Gueit. Generally, he designs luxury watches and jewelry. This luxury mobile was launched in Switzerland for the first time. “This GoldVish Le Million Mobile which was one of the world’s most expensive mobile sold in the France Millionaire Fair in September 2006. 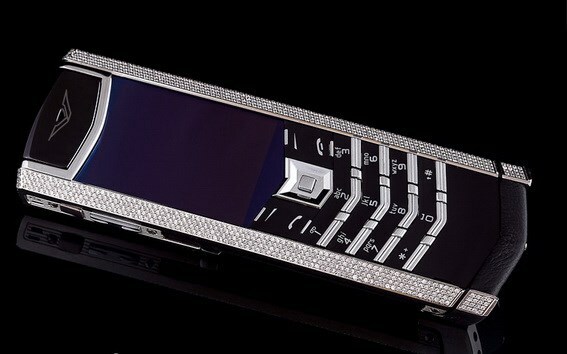 “This designer phone is bejeweled with 18k white gold and 20 carats of VVS1 diamonds. The price of this attractive phone which holds the Guinness Book of World Records is near to Diamond Crypto. You can buy this phone at $1.2 Million. Diamond Crypto mobile which holds the 5th position in the list of world’s most expensive mobile phones works based on Windows CE. Luxury accessories maker Peter Aloisson designed it. There are 10 rare blue diamonds and 40 special diamonds are stuffed in its cover. Apart from this, it also gives a few sections made in rose gold as well. Here the essential thing about Windows CE, it gives safety against technological blackmail and kidnapping. Looking at its price, one will say wow! This is priced at $1.3 million, means over Rs 7 crores. 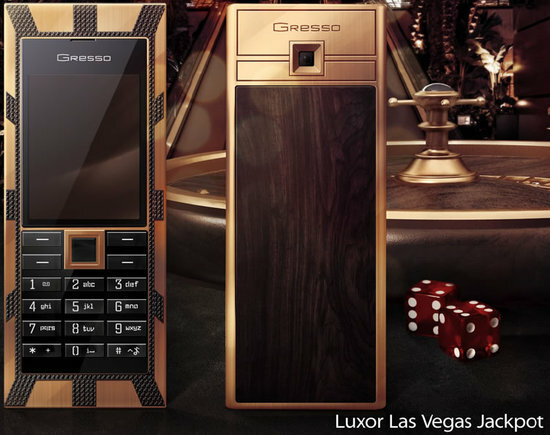 This is most expensive handset produced by Gresso Company. This phone was produced in Switzerland in 2005. Looking at its features pure gold weighing 280 grams has been used in the design of this mobile. “The back portion is made up of African wood, that is more than 200 years old. This wood is the most expensive wood in the world” and that’s why this mobile become one of the most expensive phones. The back panel of this mobile looks really beautiful and I am damn sure that you will love it. Its keys are made of sapphire crystal. The price of this phone is $ 95,000. 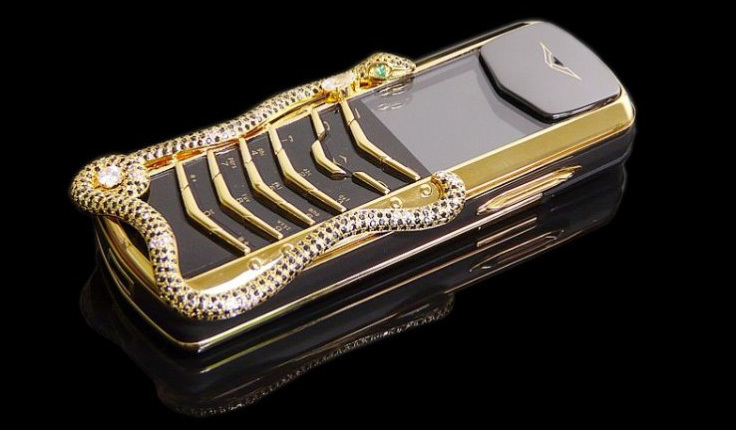 Vertu Signature Cobra mobile grabbed the 7th position in the list of world’s most expensive mobile phones. A design of the Cobra snake with diamonds on the phone side. This is designed by popular French jeweler (name missing), Boucheron using a pear-cut diamond fixed on it. The cobra-shaped design features one round white diamond, one pear-cut diamond, two emerald eyes, 439 rubies and having some other precious diamonds. These diamonds are making this mobile more beautiful and expensive too. The price of this phone which has so many features is $310,000. 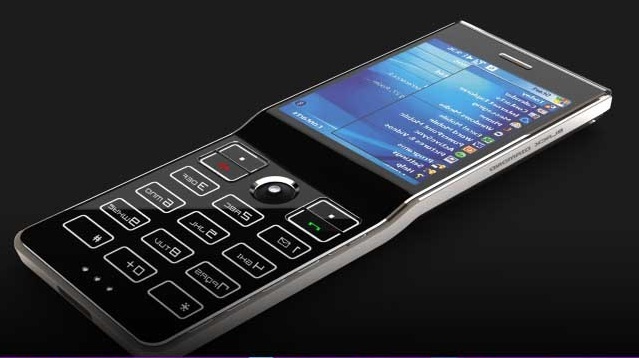 Sony Ericsson’s Black Diamond mobile holds the 8th position in the list of the world’s most expensive mobile phones. Jaren Goh created this stylish model for Sony. Looking at the features of this mobile phone, everyone will get surprised. It features display detailing, polycarbonate mirror and an organic LED technology, and have the capacity to diffuse the light. Until now, no mobile manufactured in the world can challenge the display results of this mobile. On the back and navigation buttons, it has been stuffed by beautiful diamonds. The price of this phone is $300,000. Looking at the features of this mobile, generally, they appear same as the features of iPhone we outside. The reason behind placing this mobile which works like a normal iPhone in the list of world’s most expensive mobile phones is its structure. This iPhone is designed by famous designer Austria Peter Aloisson. In the structure of this mobile, there is a plate made of gold around it. At the edges, it has 180 brilliant cut and princess cut diamonds. It is estimated they are with a weight of 16-17 grams. Its price is $176,400. The name of this mobile which looks very simple among the exclusive luxury phones and small in size is Vertu Signature Diamond. If you see the price of this piece of structure you will get shocked. This mobile is manufactured with the costliest Platinum. The mobile phone is decorated with 200 pretty small diamonds at its edges. Another specialty of this mobile phone is. The assembly process for this mobile phone is done by hand, not machines. Do you know the price of this mobile phone which has so many specialties? It is over $ 88,000 because of this reason; this mobile phone grabbed the 10th place in the list of the world’s most expensive mobile phones. Conclusion So these are top 10 most expensive mobile phones in all over the world and few of them are available one piece only. And if you want to buy any of these phones then you have to ask company’s CEO. ?